"Service and repair at a price that's fair"
Joplin Transmission & Auto Center has been supplying the 4 state area with top quality transmission rebuilds since 2003 and has over 100 years of combined transmission and automotive experience. 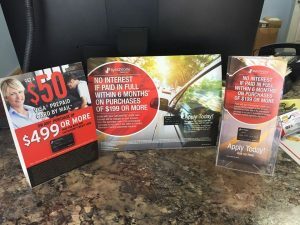 We have recently extended our services to include total auto care, free computer scanning (when applicable) & diagnostic, electronics repair, vehicle maintenance, performance tuning, braking systems, suspension work, air conditioning, exhaust, tires and alignments. 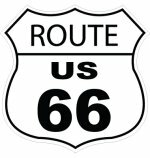 We are conveniently located on Historic Route 66 (East 7th Street) just west of Range Line Road in Joplin Missouri. We are a family owned business with strong personal ties to the community and the friends we serve. Over the years our company has been successful because we take great pride in the products we manufacture and offer honest services to our clients at a fair value. Joplin Transmission and Auto Repair – Complete Auto Center. Our facility is well qualified to provide complete automotive care on both foreign and domestic vehicles, front wheel drive, 4X4 / SUV, standard transmission and clutch components. Why trust your automotive repairs to just anyone? The technicians at Joplin Transmission & Auto Center have the knowledge and expertise to get the job done right the first time. Our prices are competitive and we accept most extended warranties as well. We also offer free local towing service with all transmission overhauls. Check out our in house financing! It only takes a few minutes to apply for your CarCareOne credit card. Use your card for oil changes, tires, routine maintenance and any other automotive repair. All repairs come with a solid backed warranty on all supplied parts and workmanship, We additionally offer extended and nationwide warranties as well as Fleet Servicing and General Maintenance on most all vehicles. Got a “Check Engine Light” on? Joplin Transmission & Auto Center offers a free transmission diagnostic service as a courtesy to the community. Most diagnostics take about 15 minutes and includes computer scanning (when applicable) as well as a complimentary test drive. Not only is this service absolutely free, it could also save you from the expense of unnecessary repairs and thousands of hard earned dollars. Don’t risk your repairs to just anyone, bring your vehicle to the automotive experts. Copyright © 2019 Joplin Transmission & Auto Center. All Rights Reserved.